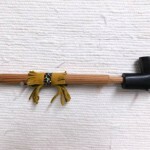 This is a fully functional peace pipe with pipestone elbow bowl & wooden stem. 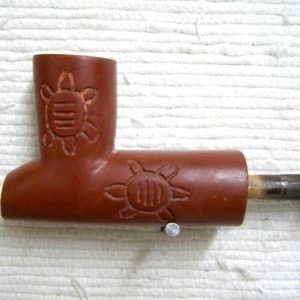 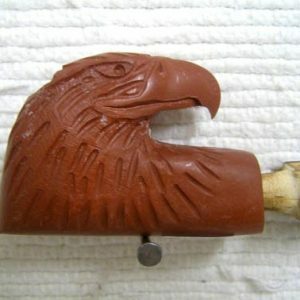 This pipe was handcrafted by Santee Sioux Indian J.D. 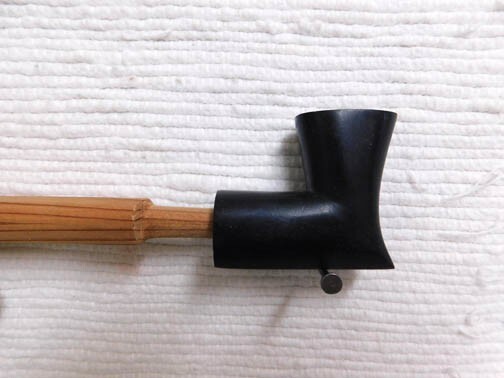 Wallenberg (Loud Thunder). 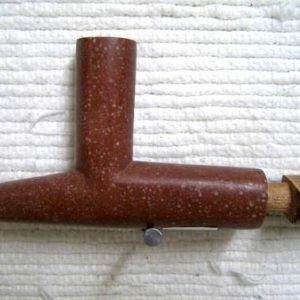 The pipestone comes from Pipestone, Minnesota. 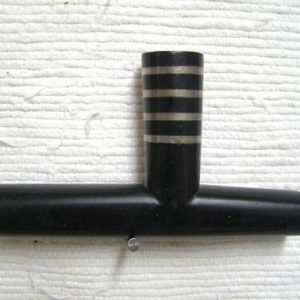 The bowl measures 2.5 inches long & 2 inches tall. 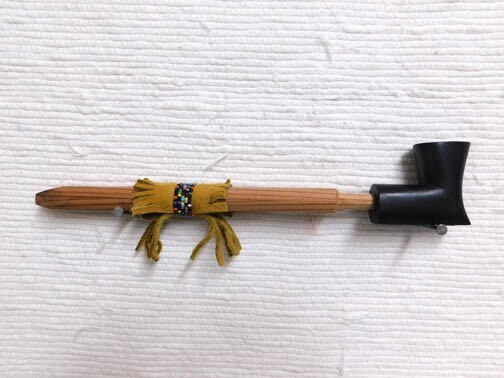 Total length with stem is 11 inches.